Most attempts to reconcile faith and scholarship are in terms of personal faith and the task of scholarship: how do I, as a Christian and a scholar, integrate what my faith with my academic task? While this is a worthy question, there is a more fundamental question that should precede it. To see this consider what we mean by "faith." There are at least two ways of taking the term. In a subjective sense faith means the believer’s trust in God and his word. However, Jude uses the term “faith” to denote the content of Christian belief (Jude 1:3). In other words, what we Christians consider to be true. If we take faith-scholarship integration to be a question of how we relate the content of the Christian faith and the task of scholarship we are left we a slightly different, but more fundamental question: If the Christian faith is true what are the ramifications for the possibility of human scholarship? If this question can be answered in way that is faithful to the presuppositions of Christian belief it will then be clearer as to how a Christian’s personal faith should integrate with his or her scholarship. There are traditionally three ways one might try to answer this question. First, the conflict model holds that there is one truth and one dominant discipline. Those who hold this view suggest that though multiple disciplines have their place they all do so under the guidance of one. Scientism, for example, suggested that the dominant discipline should be a strict scientific method. Though other disciplines are permitted their place, any truth claim could only be verified through by scientific method. Second, the paradox model holds that contradictions between disciplines are only apparent. Though there is an ultimate harmony, we are limited by human finitude and truths from disciplines are treated in dialectical relationship with one another. Finally, the compatibility model, in contrast, holds that truth should harmonize and that all disciplines have access to one truth. Christians usually suggest that all truths belong to God and in God there are no contradictions. Christian scholars should seek truth wherever they may find it. Augustine, for example, taught that a person, “who is a good and true Christian should realize that truth belongs to the Lord, wherever it is found, gathering and acknowledging it even in pagan literature.” This view is also dominant among reformed theologians in America due to the influence of the puritans. While considering the relationship of Christian truth to academic disciplines provides some of the answer, each model lacks a precise answer to the question: what does the truth of the Christian faith have to do with the possibility of human scholarship? What is it about the truth of Christian beliefs that makes human scholarship possible? Trivially, we might answer that if there were no God there would be no world, no human beings, and nothing to write about. However, the question is not limited to God having created the world, but how the fact that God having created the world makes it possible for human beings to know anything about the world. It is not as if God has made the world and then human knowledge just happens. There must be some necessary condition supplied by our doctrine of creation and providence that makes human observations about the world possible for all scholars, non-believer or Christian alike. There is another thesis hidden in Augustine’s thought that may be helpful. Augustine contends that a person, “who is a good and true Christian should realize that truth belongs to the Lord, wherever it is found, gathering and acknowledging it even in pagan literature.” If we reverse the point we can suggest that there is something that the Christian believes to be true that makes the pagan able to make sense of experience, come to know true propositions and write meaningful sentences about it. The question, then, appears to be something like: how can it be possible that a pagan or a Christian comes to know, understand or communicate any truth at all? The answer, I think and shall argue, is that the necessary condition for the possibility of human scholarship is the truth of the content of the Christian faith. If this conclusion is right it turns out that our original question—how one’s personal faith is integrated with one’s scholarship—is answerable not only in terms of how faith helps scholarship or how it transforms the purpose of scholarship or morally impinges on one’s scholarship, but in terms of how scholarship is carried out in self-conscious submission to the God who makes scholarship possible. We can begin by asking what it is about the world, experience and human faculties that make scholarship possible. These items should include basic assumptions about what scholars need in in order to perform their task, but what we need to be able to show is what conditions would make those items possible. The most obvious item on our list is human knowledge, the ability to know anything at all. Without the possibility of human knowledge there would be little chance of any worthwhile scholarship. Of course, there are many skeptics in academia, but let us rudely ignore their case and assume that scholars should at least assume that something that they come up with is true. Another item on our list should be the human ability to make sense of experience. Sciences, historical studies and biblical studies rely on the human ability to collect data and interpret it in a way that does reality justice. Finally, scholarship relies on the success of human communication through natural languages. After a moments reflection one should be amazed that human beings can do so much with small marks on a page and noises uttered from our mouths, but without a community of language-equipped scholars our work would be a futile exercise. So, there are at least three jointly necessary conditions for human scholarship and each one, in turn, must find its necessary condition in the truth of some more fundamental presupposition. That presupposition, I will argue, is the truth of the content of the Christian faith. First, human beings must be able to come to true beliefs. This applies to any theory of truth - correspondence, coherence or otherwise. Each theory assumes its own possibility. And it is possibility in question here. If it were not possible for human beings to know anything then there would not be any human scholarship. As Marsden argues, “questions of how we know are fundamental to all disciplines.” How is it that human beings can know anything at all? What is it about what we believe to be true—the content of the faith—that would make knowledge possible? An answer, supplied by reformed theologians, is that the ground for our confidence in the possibility of human knowledge is the guarantee of God’s comprehensive knowledge. If human beings are to know anything at all, they argue, God must know everything. For what reason? Trivially, human beings cannot have comprehensive knowledge. If they cannot have comprehensive knowledge then they do not know how much there is left unknown. The lack may be small, large or infinite. If what is unknown contains any proposition that falsifies any proposition already thought to be true then at least that proposition turns out not to be known. Consequently, since no one can be sure which proposition they already take to be true will, given the inclusion of a new proposition, turn out to be false, there is no way to know that any proposition taken to be true in the present will not turn out to be false in the long run. What one requires in this case is some being who does in fact know all true propositions. Not only that, but also this being must have made it possible that creatures that do not have infinite knowledge can come to true beliefs. In the Christian God we have such a being who both guarantees the truth-value of all propositions and who is able to design the world and human beings in such a way as to ensure they are able to come to some true beliefs about the world. God is omniscient and satisfies the requirement for all true propositions to be contained in a mind. He is also the all-powerful designer of all creation. He is able to design human beings in such a way as to ensure that, though they cannot know everything, they are able to know something. Second, in order for scholarship to be possible human beings must be able to make sense of experience. To make sense of experience means to form coherent beliefs based on observation of the world. Disciplines found in the sciences and historical studies rely on accurate descriptions, interpretation of data and predictions of future contingent truths. If human beings could not make sense out of what they experience then human scholarship would be impossible. The problem for scholars of all stripes is what makes this possible. How does the human mind gain accurate interpretations from observation of “raw data?” This is particularly pressing for the historian. Is there really any way to present a historical narrative without slipping into relativism? Surely all our views of history are dominated by our own presuppositions. The first do is concede the point. It is not the job of the Christian historian to hold out for some view of objectivity that assumes a human being who grew up in Washington DC during the early 21st century can ascend to a bird’s eye view and thereby access the lives of sixteenth century Europe without downloading varying degrees of his or her own culturally conditioned worldview. However, instead of despair or resistance, the Christian should ask why it should matter. Historian, Mark Noll, argues that historian should embrace a form of Christian relativism. First, Noll argues that God has sovereignly made the world and the human beings in it. He made them in such a way that they could come to knowledge about the world. Second, that God has ordained each historian to carry out his or her work from the perspective in which he or she has been placed. This is not merely a matter of fact, but of purpose. God not only places people in times and places as historians, but also intends that they perceive the past from that cultural and temporal situation. If that is relativism, then it is relativism ordained by God. Without such a presupposition, Noll implies, historians must choose from some unsightly options that either suppose that human beings can reach beyond their culture or that they are bound to only produce ideologies of history or even deny that the discipline of history is possible. Finally, if human scholarship is possible then communication between people must be possible through natural languages. How is it that humans can use language to communicate truths to one another? If what we think is true about the world rules out this possibility then human scholarship would not be possible or it would be a worthless task. When scholars engage in conversation, they do so on the assumption that language performs a task: to communicate with another human being in such a way that they are understood. The assumption is that language is adequate to achieve their goal. But why suppose this? What is it about the world, human beings, and language itself that makes this possible? Nietzsche’s reply was that nothing about the world, human beings or language could make this possible. He thought that nothing determined the meaning of language except our will. Even the most coherent talk had no guarantee of being used for communicating what is true. Nietzsche thought that since a world without God could have no ultimate explanation, there could be no non-ultimate explanation since every explanation presupposes a more ultimate or fundamental explanation. This, according to Ian Markham, is what motivated Nietzsche’s famous line, “If God is dead then we are all madmen.” Christian scholarship, however, relies on the possibility of communication with natural languages. What is it about Christian beliefs that guarantee the success of this enterprise? My tentative conclusion is that since God is a linguistic God, a God who is a triunity of persons, he has language built into his being. This might be difficult to imagine. What would the inter-Trinitarian speech of God be like? But what is clear is that God speaks first (Gen 1:3). He does so not as one who has never spoken before, but as a speech-capable being. If, as many philosophers argue, there cannot be speech without community, then God must be a plurality of persons in union. Instead of speech emerging from the grunts of prehistoric man, language exists eternally in the Godhead. Consequently, all history, every event, every object has been pre-interpreted or pre-explained by God. God’s plan included within it the meaning and explanation of all events and objects. Nietzsche’s question of explanation is not answered merely by the existence of any god, but only by a language capable god and only a God who is a community would be capable of speech. Christian scholars can seek clarity not as the originator of language but as one whose speech was given by the first speaker. Our task, then, is to talk God’s talk after him as much as it is to think his thoughts after him. In sum, if there is human scholarship (or its possibility), then humans can have knowledge, make sense of experience and communicate with one another with natural language. I have argued that if human beings have knowledge, can make sense of experience, and can successfully communicate with one another, then the content of the Christian faith is true. Let’s return to our original question. What effect does this have on our original question? How does this conclusion help Christians integrate their scholarship with their personal faith? For Augustine, integration was primarily about moral discernment. Christian scholars should eschew pagan sources especially those sources that are concerned with making idols. Consequently, Augustine urged his readers to take great care when venturing into a discipline “outside the church of Christ” and to “discriminate sensibly and carefully between them.” He famously argued that when no conflict arises on moral grounds then the scholar is warranted in taking from pagan philosophers in the same way the Israelites were justified in plundering the Egyptians. There is much to be said for this advice. Only, it should be added that what was stolen from the Egyptians never really belonged to them. All that the Israelites “stole” belonged to the Lord. Similarly, all scholarship is only possible because of the Lord. Consequently, every use of reason—every scholarly work—would not have been possible without the Lord’s gracious gifts to human beings. Though neither pagan nor Christian deserves it, we have all been given, by design, the ability to know truths about the world. The difference lies not in those abilities, as if a pagan could not know what is true, but in the favor that God has on his people. While unbelievers work in order that they might master their field and in so doing might master the world, the believer works under the favor of the one who guarantees that scholarship is possible. Unbelievers, though they use the same tools, use them under God’s disfavor, yet, because of God’s grace, are nonetheless able to come to sound judgments about the world. Using God’s gifts under his favor in self-conscious submission to his authority provides the Christian scholar with numerous benefits. No scholarship is easy, but Christian scholarship is undergirded with a certain joy. There are at least five reasons for this. First, Christian scholars should proceed with no worry that their respective disciplines will turn out to undermine the possibility of knowledge. If, as I have suggested, knowledge is God-dependent, then Christian scholars do not have to know everything in order to know something. God, who does know everything and has designed human beings to know something, insures that scholarship is not a useless task. For many Christians, there is an anxiety in academic work that they will discover that many or even all their beliefs will turn out to be false. Many Christians who study philosophy, for example, are placed in mental vices that threaten to squeeze their faith commitments from them. This is often due to a nagging doubt about their own ability to know for sure that their Christian beliefs are true. But what if their ability to know anything at all was dependent on the truth of those beliefs? One would either have to deny the possibility of knowledge or cease worrying that all that is held dear will turn out to be false. Because God is the only guarantee of human knowledge Christians can proceed without anxiety in a peace that “surpasses all understanding (or comprehension)” (Phil 4:7). Second, a vital moral characteristic of a scholar is humility. However, what if there was no god, that every human who knew anything did so through work, through human avarice? Surely, if the work were all a human responsibility there would be no need for humility. What possible reason would the scholar have for humility? There would only be merit. Yet humility is prized precisely due to the fact that scholarship is not independent from God. Indeed, scholarship so relies on God that if there were no God there would be no scholarship of any kind. This should cause great humility among Christian scholars not merely because the apostles favor humility, but because it logically follows from scholarship’s dependence on the truth of their faith. Third, Christian scholars can have confidence even in the face of hostile academic environments. Christian scholars are needed in fields that are presently hostile towards them. For example, Alvin Plantinga suggests that there is a need for Christians to enter the discipline of science. The task is constructive and entails a certain amount of conflict. The conflict, though, is not between science and theology, but between worldviews. As a correlative to the humility Christian scholars should have is confidence in the truth of their faith. There is jointly humility on account of scholarly achievements being dependent on the Lord and confidence on account of the presupposition that science, and all other disciplines, work precisely because what they believe about the world is true. These dual virtues—humility and courage—are vital to a Christian scholar working in the scientific community, but what makes them possible is not only practice, but the theoretic, and theological, framework that entails them. Fourth, scholarship is about worship. Language, for Christians, is the tool for truth-telling and Christ-exaltation and when it is used for the former it is of the latter kind. Truthful speech is Christ-honoring speech. Language has the unique ability to carry propositions that are either true or false. A commitment to truthful speech is not only rational but also worshipful (John 4:24). Speech is also worshipful when it is used graciously. Our kindness to brothers and sisters through our words is especially important. In our criticism of views that differ from our own we should take immense care to care for our interlocutor even in the most heated debates. This does not entail no strong, vivid or even heated debate, but a commitment to the other persons joy and growth in the Lord. Understanding speech as derivative of God’s speech among a perfect triune community helps us to see our own speech as pursuing the same kind of loving community in our Christian community. Correlatively, our speech should reflect the Lord’s commitment to proclaim the truth to those whose scholarship is aimed at rejecting the Lord. Fifth, scholarship, for the Christian, is a means of sanctification. As Milton wrote, “the end of learning is to repair the ruins of our first parents by regaining to know God aright, and out of that knowledge to love him, to imitate him, to be like him.” On the view I have outlined the ruins of our first parents are not only moral failures, but also a bending of our epistemological assumptions. Our sinful nature continually attempts to convince us, particularly while we are engrossed in interesting and fulfilling scholarship, that our ability to know anything, to make sense of anything, and to communicate it in an interesting way to others is something we did on our own. More damagingly, we think that the starting point for our scholarship is a neutral mind, one open to the honorable search for the whole truth. Instead, the starting point is always post-edenic, one begun with a mind that is ruined by sin and bent on fallen nature’s attempt to make the world in our own image. Christian scholars take up their books and pens not in order to make a name for themselves, but to allow God to set them apart from their sin and turn their hearts wholly to him in love. The puritan ideal of sanctification through scholarship is guaranteed by God’s general revelation through creation. As Christian scholars submit themselves to the Lord in their studies they submit themselves to the one who shows his nature through their scholarship. And since all creation is his he can no less use the means of a mathematical equation than the experience of his divinity in nature. A work of integration such as this would be remiss without mention of the place of scripture in learning. While I have affirmed the puritan’s support of the liberal arts, I do so with a qualification. The first duty of Christian scholars is to attend to the revealed word of God. This is not merely a devotional duty, but a necessary condition for right scholarship. If the possibility of human scholarship rests on the truth of what is contained in scripture, then right scholarship, scholarship done under divine favor, is achieved through knowing one’s presuppositions as fully as possible. This is primarily about joy. In order to enjoy the benefits of right study Christian scholars should, crudely put, know their Bibles. It is, as the reformed theologians have argued, the first port of call for any Christian scholarship. If scripture’s truth guarantees the possibility of human scholarship knowledge of those truths is the necessary condition for right and joyful Christian scholarship. Man could not know from nature itself that the result of eating from the Tree of Good and Evil would spell his death. Hence we may speak of the revelation as being positive instead of natural. It had to be a direct communication of thought content on the part of God to man. Then too we may speak of this revelation as supernatural in opposition to natural. It was a revelation that man could not obtain by ever so diligent an application of his thought activity to the phenomena of nature. Van Til implies that the human mind is insufficient for knowledge. It requires not its own internal and natural light to understand, but God’s verbal revelation: the light of the divine mind. Man was never meant to study nature by means of observation and experiment without connection with positive supernatural thought communication given to him by God. Nature could not be observed for what it actually is except in relation to history, and history cannot be seen for what it is at any stage except it be viewed in relation to its final end. And only by direct supernatural revelation could man have an adequate notion of this end. Van Til’s emphasis on the supernatural light of revelation as the necessary condition for human understanding highlights a contrast between a reformed and a Thomistic philosophy of education. Thomism suggests that human beings, as rational animals, have the mental capacity, given by God, to illuminate nature. Aquinas thought that the necessary condition for human knowledge of the world was an “agent intellect.” The human mind qualified as an agent intellect and could, therefore, arrive at a comprehension of nature without the aid of supernatural revelation. Medieval scholastics considered education as the training of the mental faculties in order to actualize their potential. Some reformed theologians, in contrast, thought that what one required to understand the world rightly was first an understanding of the mind of God in his word. The agent intellect, so to speak, is the mind of God in whom all things cohere (Col 1:17). It is the mind of Christ that Christians have access to and his mind, not ours, is what is necessary for human knowledge and understanding (1 Cor 2:14-16). I have argued that human scholarship is possible in virtue of the truth of the Christian faith. Knowledge, experience and human communication are God-dependent. 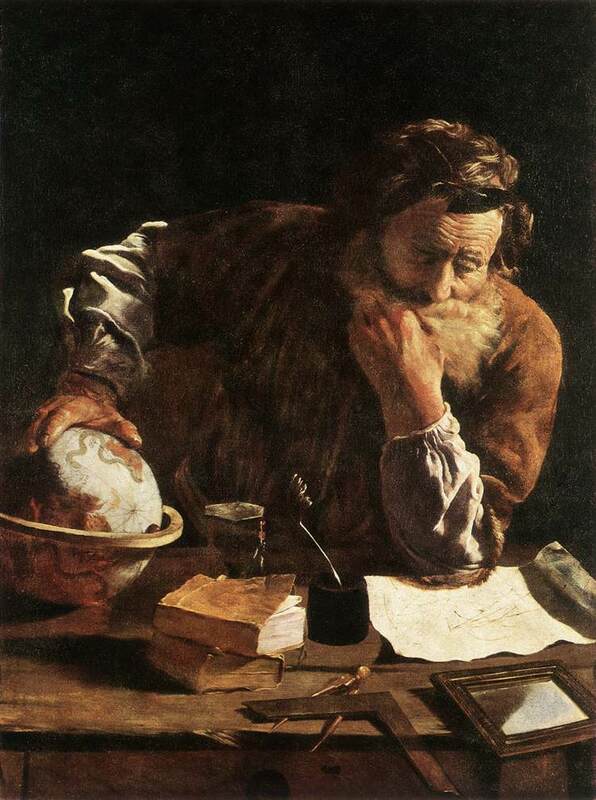 The implications for scholarship form an integrative philosophy of education that is theocentric, concerned with a broad educational task most aligned with a liberal arts form of education, but with primary emphasis given to the study of scripture as the necessary condition for right scholarship. The Bible presents a multifaceted definition of faith not limited to the traditional trio of terms: notitia (knowledge), assensus (assent), and fiducia (trust). For the sake of brevity I am leaving out a discussion of what propositions should be included in the list of Christian beliefs. For the sake of the paper we might take the content to be taken ideally: all and only those propositions that are in fact true and are propositions that God intends human beings to know form his Word. George Marsden argues that faith should integrate with scholarship. Marsden focuses primarily on how a scholar’s personal faith should integrate with his or her scholarship. In Chapter 5, however, he asks how the truth of the content of the Christian faith impacts scholarship in general. George Marsden, The Outrageous Idea of Christian Scholarship (New York: Oxford University Press, 1997), 88. Cf. William Dembski, Intelligent Design: The Bridge Between Science and Theology (Downers Grove: InterVarsity Press, 1999), 188-190. Richard Hughes suggests that this view is held by Lutherans who view the paradox in terms of the relationship between nature and grace. Richard Hughes, The Vocation of a Christian Scholar: How Christian Faith Can Sustain the Life of the Mind (Grand Rapids: Eerdmans, 2001), 63. Evangelicals largely follow this model citing Frank Gaebelein’s influential book, Frank Gaebelein, The Pattern of God’s Truth: The Integration of Faith and Learning (Winona Lake, IN: BMH Books, 1954). The idea is also prominent in the enlightenment scientific revolution. Joahnnes Kepler was awestruck by the harmony of truth: E.A. Burtt, The Metaphysical Foundations of Modern Physical Science (New York: Humanity Books, 1924), 57. Alvin Plantinga, “When Faith and Reason Clash: Evolution and the Bible” in Taking Every Thought Captive, ed. Don King (Abiliene Christian University Press, 2011), 89. Saint Augustine, On Christian Teaching (Oxford: One World Classics, 1997), II.18.28. As puritan, Richard Sibbes, writes, “truth comes from God, wheresoever we find it, and it is ours, it is the church’s… We must not make an idol of those things, but truth, wheresoever we find it, is the church’s; therefore, with a good conscience we may make use of any human author.” in Leland Ryken, Worldly Saints: The Puritans as They Really Were (Grand Rapids: Zondervan, 1986), 167. Much of the ensuing argumentation is from my master’s thesis: Ben Holloway, “Faith and Learning: A Proposal for Integration” (master’s thesis, Trinity Evangelical Divinity School, 2014). Cornelius Van Til wrote, “there must be comprehensive knowledge somewhere if there is to be any true knowledge anywhere.” in: Cornelius Van Til, Defense of the Faith (Phillipsburg: Presbyterian & Reformed Publishing Company, 2008), 65. The form of Van Til’s three arguments from knowledge, experience and communication used here are formulated by James Anderson: James Anderson, “If Knowledge then God,” Calvin Theological Journal 40 (2005), 20. By definition a proposition must be true in order to be known. As Marsden remarks, “Human perceptions are notoriously limited and, with God excluded from consideration, it is difficult to find a point of reference for establishing any certainty in what we claim to know.” Marsden, 88. For the relevant discussion see: Thomas Nagel, The View from Nowhere (New York: Oxford University Press, 1989). Mark Noll, “Traditional Christianity and the Possibility of Historical Knowledge” in Taking Every Thought Captive ed. Don King (Abilene: Abilene University Press, 2011), 256. Ian Markham, Truth and the Reality of God (Edinburgh: T&T Clark, 1998), 97-119. Friedrich Nietzsche, The Gay Science (New York: Vintage Books, 1974), 2.58, 121-122. The private language argument is not without its critics, but, for the sake of this paper, I will assume its strength. For a defense see: Ludwig Wittgenstein, Philosophical Investigations (Upper Saddle River: Prentice Hall, 1958), 92e §258. For a critique see: Jerry Fodor, The Language of Thought (New York: Thomas Y Crowell Company, 1975), 55-64. or Edward Craig, “Meaning and privacy” in A Companion to the Philosophy of Language, eds. Bob Hale and Crispin Wright (Malden, MA: Blackwell Publishers, 1997), 127-145. John Milton, “Of Education” quoted in Leland Ryken, Worldly Saints: The Puritans as They Really Were (Grand Rapids: Zondervan, 1986), 163. Indeed, the awe many feel about God’s creation when atop a mountain is no less felt by the mathematician considering the symmetry of his or her subject. Cornelius Van Til, An Introduction to Systematic Theology (Phillipsburg: Presbyterian & Reformed Publishing Company, 2008), 125-126. Brian Davies, The Thought of Thomas Aquinas (Oxford: Clarendon, 1992), 125-126.